An interesting assortment of films watched this week; mostly tales of crime and punishment, but with a Japanese animated picture thrown in for good measure. 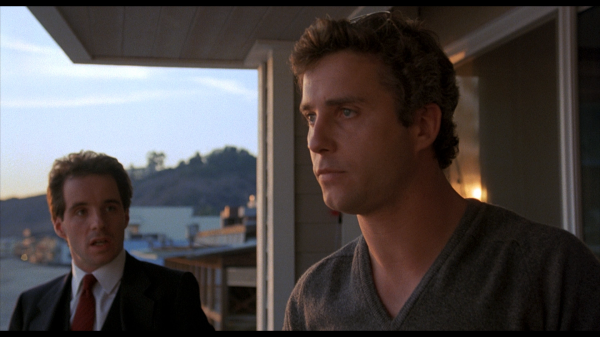 Starting with my pick of the week, To Live and Die in L.A. is a crime epic from William Friedkin almost on a par with his finest film, The French Connection. It sees a fearless but arrogant Secret Service agent resort to increasingly desperate measures to bring down his nemesis, a ruthless criminal who is head of a massive counterfeit money operation. It wasn't looking too promising in the early going, as I noticed a number of McBainesque cop movie cliches - the hero's partner is killed at the beginning of the film, just three days from retirement, there are multiple run ins with a stubborn, desk bound superior officer; it's a miracle that at no point a detective is asked to hand in his badge and gun. However, as the action progresses, things really start to improve - for one thing, we see one of the finest car chase scenes I've ever witnessed, and as the film reaches its conclusion, it really transcends its origins with a number of shocking and unexpected twists. A strong cast, headed by William Peterson and Willem Dafoe, bring their respective characters to life admirably, and Friedkin's script and direction are both top notch. Mark Kermode rates this film as one of his top Friedkin movies, and I'm inclined to agree with him. Also very strong was Killing Them Softly, an interesting film set in the world of petty crooks and low rent hitmen living in the grim, post-industrial parts of New Orleans. Most of the gangster films I've seen follow a fairly similar pattern - we get to see the protagonists rise through the criminal ranks, enjoying the spoils of their dirty money, before they get their inevitable comeuppance. This movie is quite different - as we enter the story, the majority of the characters are already well on their way down the downward slope, resorting to desperate measures just to keep their heads afloat. 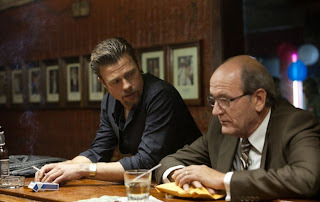 In amongst the unfortunates and incompetents we meet during the course of the film's running time, the cool, collected and professional hitman played by Brad Pitt is a rare exception. All in all, it's well worth watching. The dialogue is well written and surprisingly funny at times, director Andrew Dominik has assembled a very strong and diverse cast (which includes Ray Liotta, Ben Mendelsohn, Richard Jenkins and James Gandolfini) and in looking at the way in which the underworld has been affected by the recent economic crisis, it's a novel twist on a well worn formula. In the 'fair to middling' category, we have Deja Vu and Howl's Moving Castle. The former is a far fetched, but entertaining combination of science fiction and action, which sees an intense ATF agent (played by Denzel Washington) use a wormhole in fabric of space and time in an effort to prevent an act of domestic terrorism. The latter is another animated picture from Japanese director Hayao Miyazaki and another voyage into a strange and fantastical world - though I found it to be a bit of a let down after last week's brilliant Spirited Away. 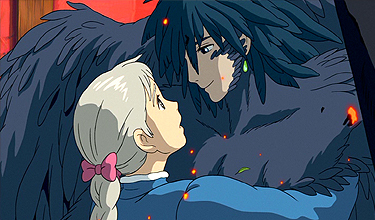 The animation was still beautiful and highly imaginative, but the storytelling seemed rather muddled and incoherent on this occasion. Finally, the only real candidate for 'turkey of the week', Bill Duke's Deep Cover. As can be deduced from the title, the movie's plot follows an undercover cop working his way inside the belly of a South American drugs cartel who are the chief suppliers of narcotics to Los Angeles. Where the film falls down for me is in its glaring lack of realism. I think I've been spoiled by watching brilliant (and highly realistic) TV series like The Wire and The Shield - which as well as being superbly acted, scripted and plotted, are notably well researched and true to life. In the case of Deep Cover, we're supposed to believe that the undercover officer is able to work his way up from street level crack dealer to being a close adviser of the cartel's leaders in a matter of months. What's more, when he decides to cross them, he's able to terrify this supposedly intimidating criminal outfit pretty much single handedly, backed up only by a bug-eyed, coke sniffing lawyer and a rather camp elderly gentleman. 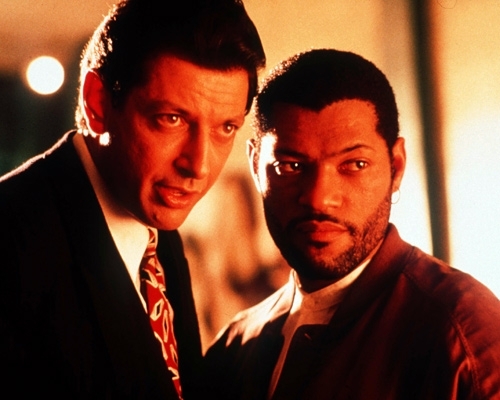 Though Laurence Fishburne offers a committed performance in the lead role and he's generally well supported by Jeff Goldblum (on wild-eyed form as the sleazy lawyer) it's not enough to make up for the massively implausible plot. Thinking about it, I suppose it's more that the film sets itself out to be a gritty, true to life examination of life on the street that makes its lack of realism all the more glaring. Obviously, the plotline of a picture like Deja Vu is also pretty out there - but that film never sets out to be a true crime story. 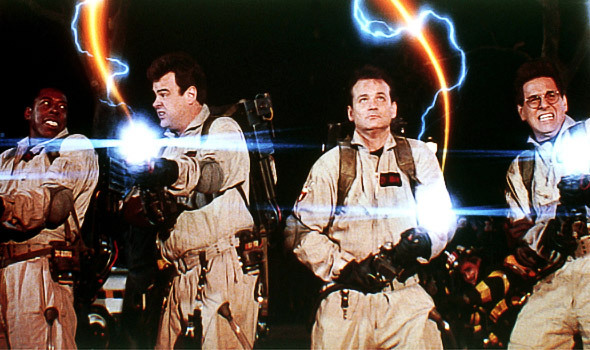 "Dr. Egon Spengler: There's something very important I forgot to tell you. Dr. Peter Venkman: Right. That's bad. Okay. All right. Important safety tip. Thanks, Egon."